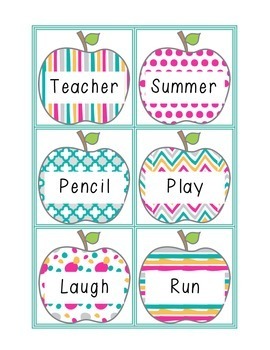 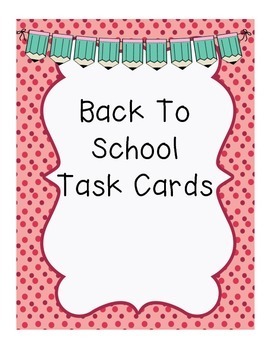 Fun back to school activity for students to do with a partner or in literacy stations as an independent activity. 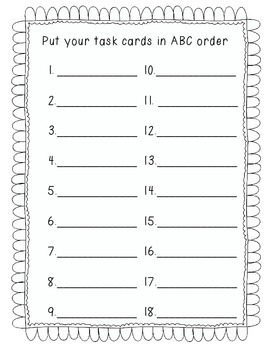 Students will put the task cards in ABC order and write them in order on their recording sheet. 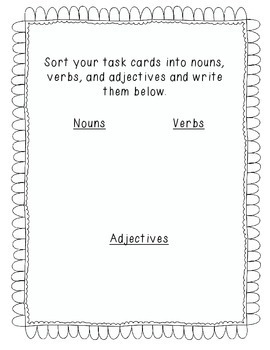 Then they will sort the cards into nouns, verbs, and adjectives and write them on next recording sheet.